CLOSEOUTS. 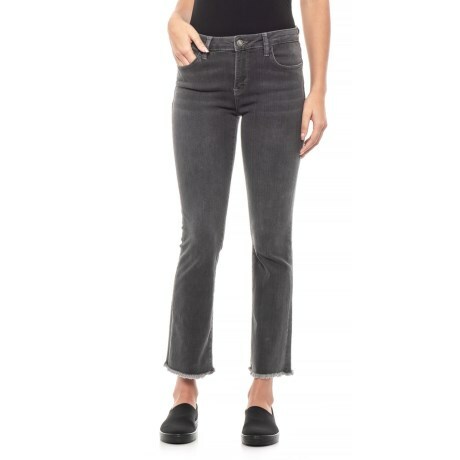 With their cropped length, frayed hem and faded look, Free Peopleand#39;s straight crop jeans lend a kicked-back vibe to your weekend style. Available Colors: BLACK.